A new website can be an exciting prospect, whether it’s the first website, bringing your website online for the first time, or a new website to bring your company into modern web times. Seeing your competitors rebrand themselves and redevelop their website and online presence from the ground up can sometimes make you feel like you need to do the same – you need a new website to stay in competition. Rest assured, this is definitely not the case. We pride ourselves on being ethical – we wouldn’t go ahead with a website for a small business if we felt it wasn’t the right decision for you. Before considering a new website, you should have a clear goal. What do you want to achieve through your website? If you already have a website, it’s possible that tweaks to your existing site could make a world of difference. With every enquiry to start a new web design project, the first thing we’ll do is review your existing site. A large portion of our clients are SMEs who do not have web experts in-house, so rely on our input to help make a decision regarding their web presence. Working with you and your requirements, we can recommend one of two options: redesign or optimise. Here’s how we help you decide the best plan of action and what we’d recommend as part of optimisation with any web agency. Like all of our posts, the links posted here are not endorsements and we, Tad Web Solutions, nor the author, receive any benefits or gains from posting these links. We’ve genuinely found them useful – we hope you do to! Remember: we’ve got lots of useful content to help you with understanding website terminology, and optimising your website. A successful website doesn’t just look great, but performs great. Part of the research to help you decide on whether a new website is the right option is to review your website’s performance in terms of the following. You may feel that because your website doesn’t deliver enough sales or enquiries, you need to redesign. That’s not always the case. Responsive: the most important element. Does your website function properly on a mobile phone or tablet? 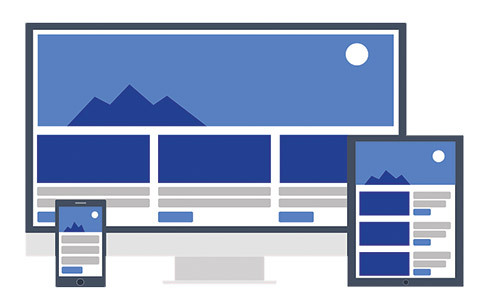 Use the Google Mobile-Friendly Test on each page of your site to ensure your website is responsive. 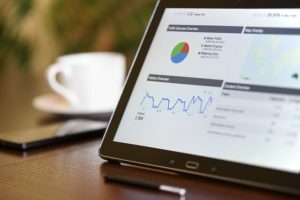 Conversions: using Google Analytics, is the path that users take to either contact you, make an enquiry or purchase a product simple, or do lots of users leave your site before reaching conversion pages? Optimisation: is your website already optimised to perform well in search results? Using tools like Screaming Frog, do you find lots of 404 errors, meaning links within your website are broken or don’t exist? Speed: using Google PageSpeed Insights, does your website score well for desktop and mobile devices? This tool will give you lots of technical recommendations to improve the speed and usability of your website. Content: is the content on your website easy to read? Using tools like Readable.io, you can input your page content and get a score of how easy it is to read your text against the Flesch Reading Ease chart. It goes without saying that content that your visitors can’t easily understand (particulalry mobile users, who are more likely to scan text than read it) will lower your conversion rate. Remember, tools like this will make sure your content is easy to grasp, but that doesn’t necessarily say that your content is quality for website visitors. Spend some time crafting your page text. Security: having SSL/HTTPS offers a minor boost to your website in search rankings and also conveys to your potential customers that they are shopping with security. With the introduction of GPDR in the EU from May 2018, you may need to restructure how and what data your website collects and stores. I don’t have a resource for this, but it is most definitely something that you should consider. If you’ve identified areas for improvement in next to all of the above, your business has refocussed it’s target market or is looking to completely overhaul it’s appearance and functionality online, it may be time for a new website. A complete redesign and development would mean building a new website from the ground up, making this the most expensive option. You’ll go through the process of discussing your requirements, what you’d like to achieve via the website – sales, email sign ups, bookings, enquiries and so on. With a clear understanding of how you’d like your website to look and what you’d like to achieve, your chosen web agency can begin to craft your new website. Unless it’s abundantly clear that your website was designed and deployed in 2004, it is by no means a lost cause. Using the tools previously mentioned, you can quickly highlight areas for improvement and prioritise from there. Rather than a website redesign, we tend to call this ‘website maintenance’ as large sections of your website may stay the same or work the same, but the overall product is fixed and improved. My recommendation would be to tackle issues in this order, though you can achieve the same end-goal in any order. Conversions: look at any existing data you have (if applicable). Before reworking your website in any way, you need a clear plan of the path you want website visitors to take, which usually takes the form of a flow chart. Once a visitor finds your homepage, what do you want them to do next? Plan your call to actions, your category structure and how you’ll fit all of your pages into easily accessible menus. Responsive: before you plan on actually drawing in any extra website traffic, you should ensure that your website is easily accessible and usable on all devices – desktop, laptop, tablet and mobile. Speed: website speed should be at the forefront of the mind of any web designer or front-end developer. It should be built into your website and not an after-thought. Whilst your agency works to make your website responsive, remind them it should be fast. Image and file compression/minification and caching are your friend. Security: when working with a web agency to ensure your website is responsive, they’ll be working through the code behind your website anyway. This makes now a great point to add extra security in the form of HTTPS and SSL. Content: regardless of who visits your website and on what device, if your content is substandard then you’re going to lose customers. Do not spend on marketing before you have perefected the look and content of your website. 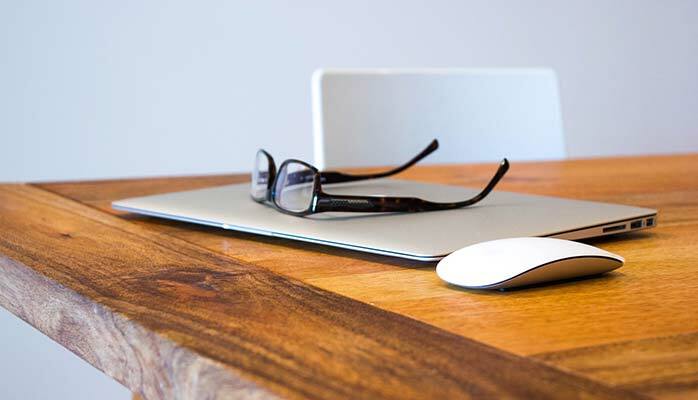 Optimisation: by this point, your website should look great, work great and read great. Now it’s time to up your optimisation so that this great new version of your website is found in search engines, the likes of Google, Bing and more. The points below are trivial, and extensive optimisation involves much more work that should be left to professionals – you don’t want to see Google remove your website entirely! Meta Data: ensure that your website has appropriate optimisation meta data – title and description as a bare minimum. Tools like WordPress SEO will populate this for you as you fill out the SEO section on each page. Image Tags: images can have both title and alt attributes – fill these in for each imae on your website appropriately. Valuable Links: include useful links across your website and in your content to external websites, and try and get other (quality) websites to link to your website. Search engines like information and authority – if it can be presumed that you’re influential in your sector and your website has lots of useful information then you’ll see yourself climb the search rankings. Work you’ve already done! Yes, really! Factors such as SSL and website speed are contributing factors to helping your website improve position in search results. Throughout 2017, there has been news of email hacking and vulnerabilities – you can use the website ‘Have I Been Pwned?‘ to check if your email address has been included in any of the public email ‘dumps’ over the last few years. If it has, this post will run you through the process of migrating to a new email address and securing yourself! Many of us, myself included, have an email address that we hate but are still forced to use. Whether you hate it because ‘funkyguy2008@webmail.com’ isn’t something you want to put on your CV, because you don’t like your webmail provider (Outlook, Gmail, Yahoo etc.) or simply because it just gets inundated with spam from years of website signups is irrelevant. If you hate you’re email address, get a new one and be responsible with where you use it. But it’s not that easy, is it? I’ve recently went through the process of doing so – here’s my tips to make the transition a nice and easy one. You’ll want to keep access to your existing email address for now at least. As always with our posts, the links posted are not endorsements and we do not gain any benefit from them – we’ve genuinely found them useful and we hope you do too! If you’re creating a new email because you hate the service you use now, it’s time to research who you think is best. Of the larger companies, Google’s Gmail is my preferred option for their extensive spam filtering and the ability to quickly tie your Google Docs, Slides and Sheets to that email. As a techie, I also decided to go for Gmail because of the ability to easily setup domain names with G Suite’s MX Records. For a few pounds, I purchased a domain name that I wanted, i.e. petersemail.co.uk to use for email and signed up for G Suite at a cost of around £4 (including taxes) per month. For that cost I get 30GB of storage space for emails and the security of Google – easy to configure two-factor authentication, etc. I could then use Gmail to manage my emails, but also have the unique email address of peter@petersemails.co.uk. For the sake of this post, I didn’t really register petersemails.co.uk but did create a new email address with a domain name, this is just an example address to show what you can do! Having done your research, it’s time to dive in. Registering a new email address through most companies is trivial – you’ll typically be asked for either a phone number or a backup email address that can be used to authenticate who you are and can be used to recover your account if you ever forget your login credentials. Since we’re looking to get rid of our old email address, it makes sense to authenticate by phone. In a few minutes, your new email address should be good to go. You’re well on the way to escaping that old address! Accounts on almost every website require an email address. Whilst you’re creating a new address partly to escape spam and the emails from most of these sites, there will undoubtedly be some that you still use. Here’s some examples that you may need to change. Remember to check your ‘Email Preferences’ within each site too – it’ll help you cut down on marketing and non-important messages. Social Media – Facebook, Twitter, Instagram, Tumblr, Pinterest etc. Whilst some of these require a username rather than an email to login, if you forget your password then you’ll most likely need access to an email address to recover the account. Finance – PayPal, investment portfolio sites, Internet banking, mobile phone carrier. Essentially, any company that sends you e-bills, statements, renewal notices or important information will of course need your newly created email address. Websites that you have a subscription with for services like Apple Music or Microsoft Office 365 will need your most frequently used email address. Again, they’ll send you bills and need this email address to recover lost passwords etc. If you’re an avid Apple user like me, you’ll most definitely want to change your Apple ID and re-login to each of your Apple devices. Key Services – education and health. Does your school/college/university/doctors practice contact you using a private email address? They’ll need your new address. Travel & Commuting – online bookings and garages. If you’re a frequent traveller, you’ll want to make sure that your most recent bookings and any future details are received by your new email address. For drivers reading this post, car garages, insurance providers and breakdown cover companies use your email address to send information rather than via post. You may get email alerts to warn you that your car is approaching it’s due date for an MOT. Even the DVLA can contact you via email if you choose to tax your vehicle online. Other Favourite Websites – online shopping. All of your most frequently used websites that require an account would be best to be notified of your new email. Shopping websites of all types are typically reliant on an email address to contact you with order confirmations etc. Even websites that rely on a username will require an email as backup if you lose your credentials. 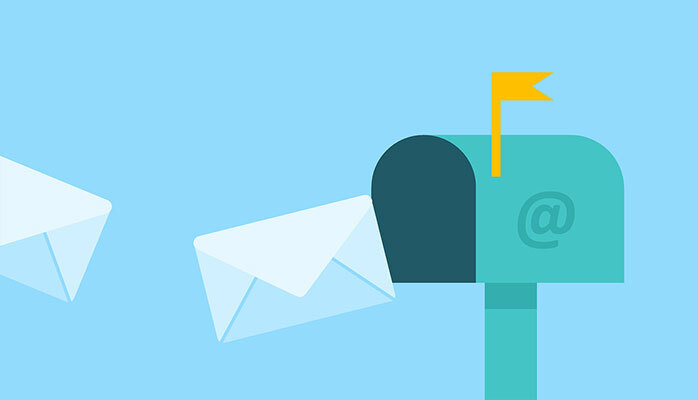 Not all newsletters that hit your inbox are spam, so you may wish to either sign up again with your new email address or change your subscription settings to send to a new email address. For me, this was the Smashing Magazine e-shot and Gary Vaynerchuck weekly digest but it could be from your gym, favourite companies, charities or other organisations. Can’t forget about them, unless that’s what you’re trying to escape. Remember to notify close friends and family of your new email address. You may choose to share it with colleagues or just leave them to contact you through your work email address. Most websites make changing your email address easy. There’s typically a ‘Settings’, ‘My Account’, ‘Preferences’ or ‘User Details’ pane that quickly lets you change this information. Websites such as Apple will email your old email address to notify you of the change and also email your new address to verify it’s still you, so it’s good to have access to all of your email accounts for the time being. Some services such as insurance or banking may ask for you to contact them over the phone and confirm your identity before changing your email address – this may seem like overkill, but remember it’s your money and your protection on the line. Whilst this can feel like a bit of a time consuming process, it’s worth it in the long run. Most major webmail providers allow you setup an auto-responder. Essentially, every email that reaches your inbox is sent a response message immediately. You may wish to setup a message similar to the one below on your old account. Thank you for your message. This email address is no longer in use and is therefore checked infrequently. If your message is important, please contact me by other means. I will reply to your message when possible. Note that the message above does not share your new email address or any other means of contact. By now, you will have updated your acounts and shared your new email address with those who you want to be contacted by, so sharing your address in an auto-response only opens yourself up to more spam, making the whole process pointless. It’s now safe to use your new account as your daily email address, so put it to work! With that said, it’s always possible that someone or something of importance has slipped through the net and still uses your old email address as a main method of contact. For the first month of creating a new email address, check your old one on a weekly basis. This gives you the opportunity to catch any important emails you’ve missed fairly quickly and contact the sender with your new information. For the next two months, check your old email address fortnightly. By this point you should be confident that anything of importance will reach your new email address but it’s sensible to check every few weeks “just incase”. For the next few months check your old email address monthly. After three months, you should have all of your accounts, even the ones you missed initially, sending to your new email. Checking monthly is a sensible option going forward for upto the next 9 months in case you’ve forgotten anything that renews annually. After one year, you’re good to do. Having periodically checked your old email even for annual reminders and updating your contact information where relevant, you should be ready to completely rely on your new email address. Some webmail providers offer the ability to ‘deactivate’ or delete email accounts, which you may wish to do. I’d recommend against this as even though you don’t regularly use this old address anymore, you may still want to check it every few months for periodic messages. You could even use your old account to sign up to websites or newsletters initially to test the content – if you decide the emails are good, update your preferences to your new account, if not then just leave it to send to your old one. Should My Website Have a Blog? A blog or new page on your company website is a great way to expand your footprint online – more content and more posts means more information that can be indexed by search engines, the likes of Google and Bing. It also means your potential customers can find out more about your business and your expert insights. Content they might not always find on your standard website pages. A blog page of your website requires a certain amount of commitment. Whilst a news section on your website is great, failing to maintain it can in fact be detrimental to your business. Hyptohetically, if you were to visit a company website, read about them and then visit their news articles to discover it was last updated in 2015, would you be more or less inclined to contact them? You can sometimes ‘get away with’ not updating your main website content, but blog post and news articles typically have post dates. For it to appear that you haven’t taken the time to update your website content in almost two years, you can forgive a portion of potential customers for considering that you might not even be trading anymore. So you’re commited to regularly updating your company news or blog page, but is your content up to scratch? Posting ‘poor’ content can do more harm than good. When creating content, tailor it for humans to read – not search engines! You can use blog and insight posts to go into greater detail about your business, how you’ve created your process or your product and share your expert thoughts on relevant topics in the news, much like we have with GDPR. If your content isn’t up to scratch, you can’t expect your website visitors to read it or engage with you via comments and shares. If your website is built in WordPress, then the chances are you’ll have already installed a plugin called WordPress SEO by Yoast. Activiating this plugin will give you tonnes of pointers and tips to optimise your content both for readers and for search engines, by using tools such as the Flesch Reading Ease test. Aspects of your content, such as word count, keyword density and paragraph length will be traffic lighted red, amber or green which makes it easy to identify what you need to work on to craft the perfect post. So what should I post about? Great, so you’ve decided to start a company blog. What are you going to write about? Here are a few suggestions. Company Updates – let the world know about your latest achievements as a company. Have you taken on new staff? Won an award? Moved to bigger premises? This is genuine organic content – when someone searches your company name, there’s a chance they’ll find these posts and see that you’re actively and positiviely promoting your business, your staff and your growth. Expert Insights – use news websites and articles releveant to your sector to find topics you create a post on. You can then create content and outline how the details of the original article apply to your business or your market sector. Within web and technology, data protection and GDPR are big talking points, so we made a post on how GDPR will affect us. How-To Guides – if you’re a consultant or a company that offers a servcie rather than a product , your knowledge and information can be your main product and you don’t want to give that away for free! How-To blog posts and ‘Tips to…’ will draw in visitors who are looking to achieve a task on their own, your post gives them some advise and if they’re unable to complete what they’re looking for, the first the place they’ll go back to is your blog post where low and behold is your contact information. For example, we posted ‘The comprehensive website checklist‘ and following that post, saw an increase in enquiries to help small businesses optimise and improve their website based on our tips. This isn’t a definitive guide to using a blog for your company, but hopefully it’s enough for you to be able to make a decision on if a blog is suitable for your website.